We pushed and did 21 miles and now stand at day 10 of the itinerary–3 days ahead!!! We’ve been waiting at the rectory for about 2 hours trying to obtain the head priest’s permission to stay. It’s not easy to “work the network,” but such a treat to be able to stay at the religious facilities. Two comments on the day, one at the beginning and one at the end. 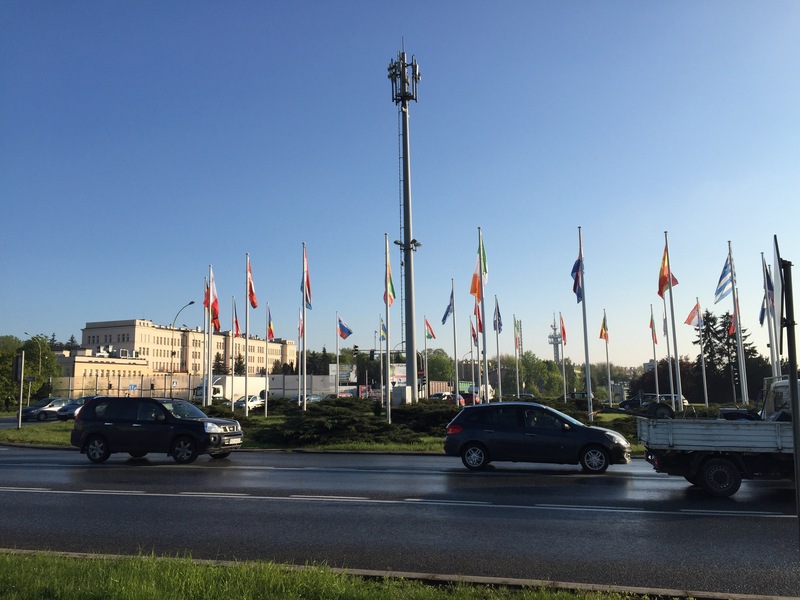 At Rzeszow we passed a traffic circle surrounded by NATO flags, that we expected to guard a majestic statue at the flags’ center. Instead we saw a cell tower, important as well in its ability to bind the NATO nations together. 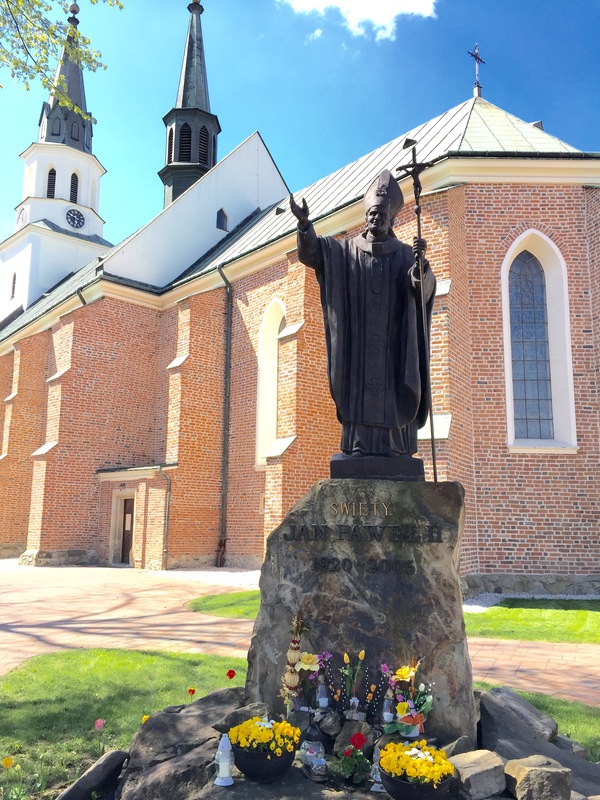 Then at this end, at the church where we hope to find lodging, we encountered a statue of St. John Paul II, the former pope from Poland, and loved dearly by her people. I don’t think I found a single church where his likeness isn’t conspicuously displayed. Here’s hoping we can stay. What a beautiful place you are, I like the pictures..thank you for posted….BUEN CAMINO!!! I notice blue skies. Weather must be better and you obviously are adapting to the longer walks. 21 miles is impressive. I enjoy the pictures. Hope you were able to stay at the church. You guys are doing great! Such a beautiful place..I’m sure every place you go,you’re welcomed with open arms.. (Especially if you gift everyone with a bottle of Lemoncello! )BIG Hugs Kurt..